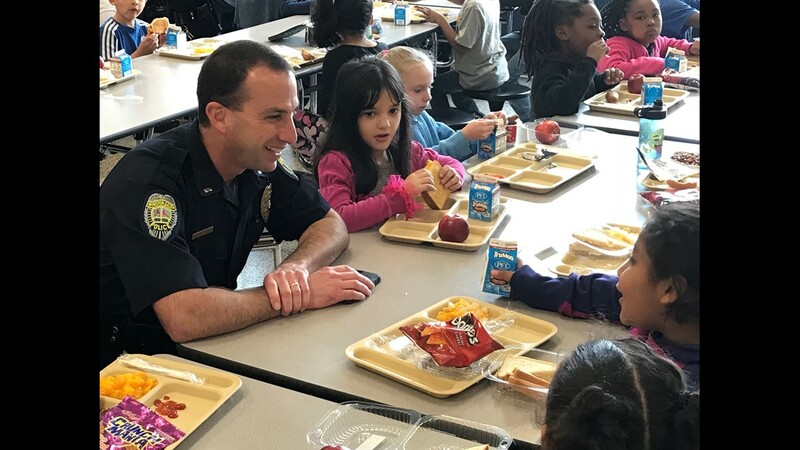 It's a win-win for officers and students - free lunch and more school security. 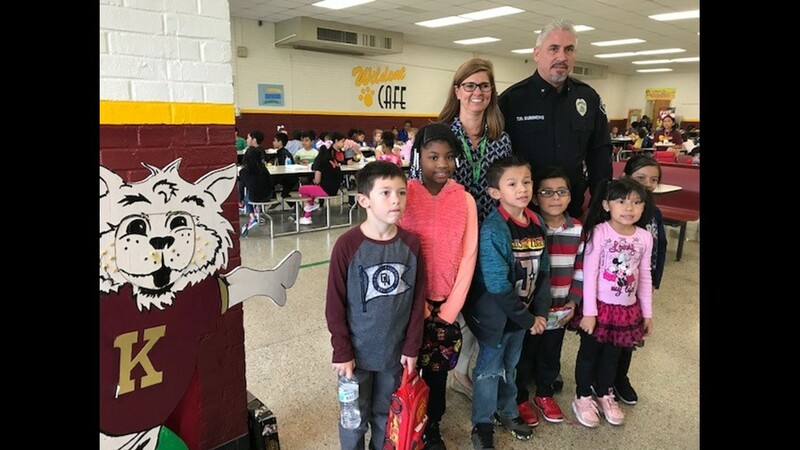 WINSTON-SALEM, N.C. -- It's a win-win for law enforcement and students - free lunch for officers and more security for elementary schools in Forsyth County. 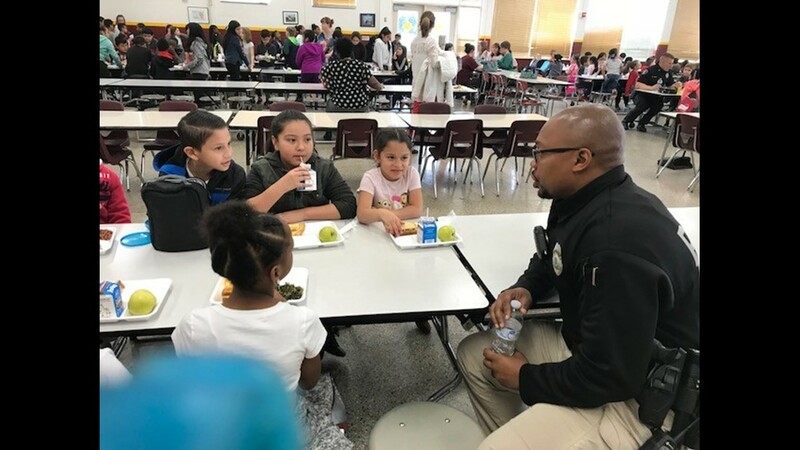 On Wednesday, police officers and sheriff's deputies enjoyed a free meal with kids at elementary schools in their respective districts. 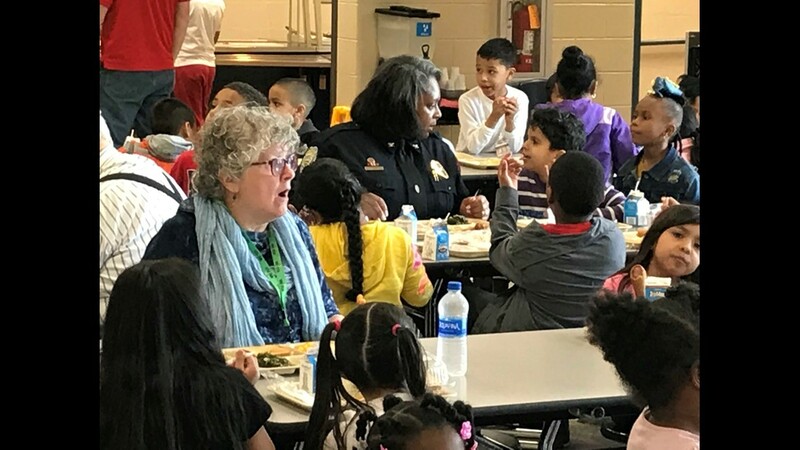 Winston-Salem Police Chief Catrina Thompson had lunch with students at Diggs-Latham Elementary School. 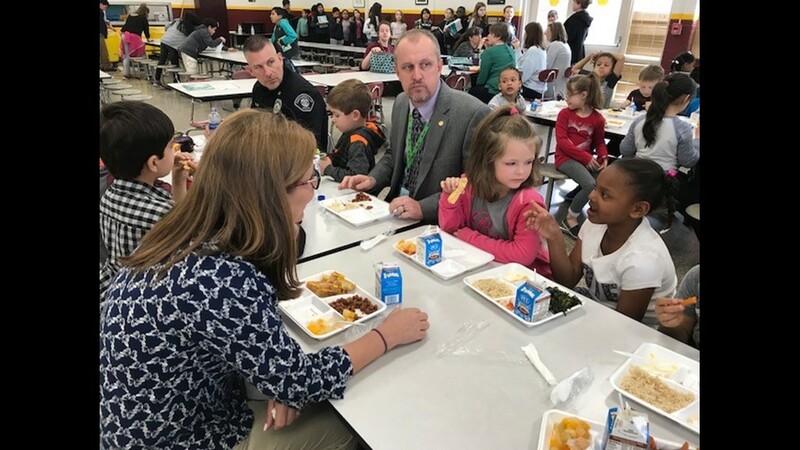 Kernersville Police Officers visited Kernersville Elementary, and Forsyth County Sheriff's Deputies enjoyed their free meal with kids at Walkertown Elementary. 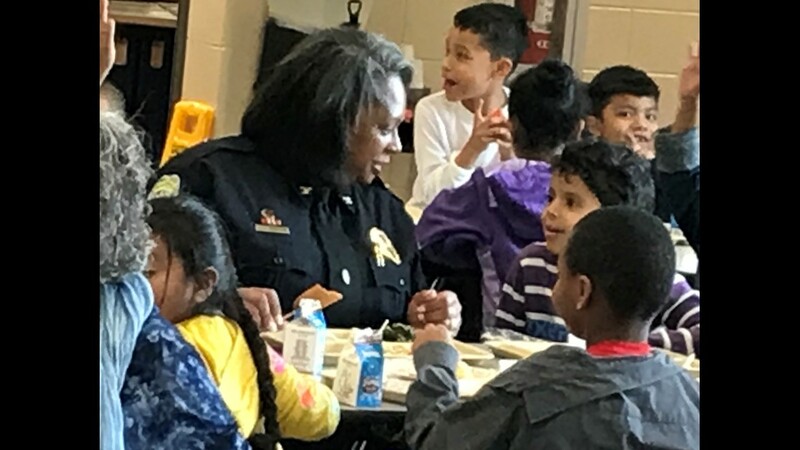 Winston-Salem Police Chief Catrina Thompson enjoyed lunch with students at Diggs Latham Elementary School. 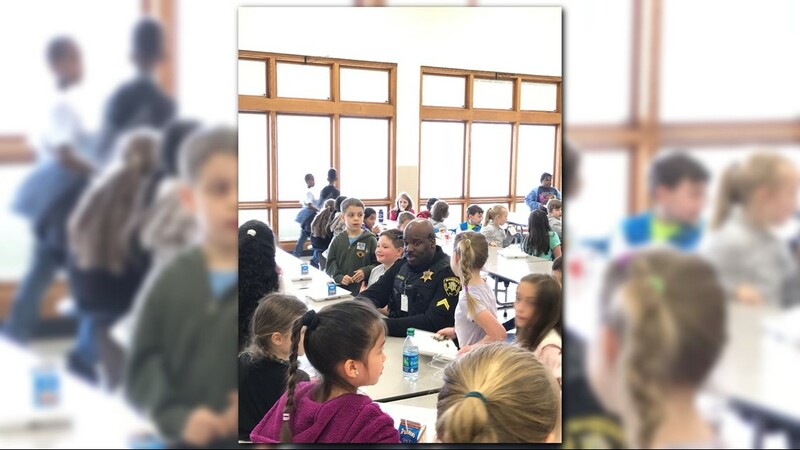 Forsyth County Sheriff's Deputies had lunch with students at Walkertown Elementary School. 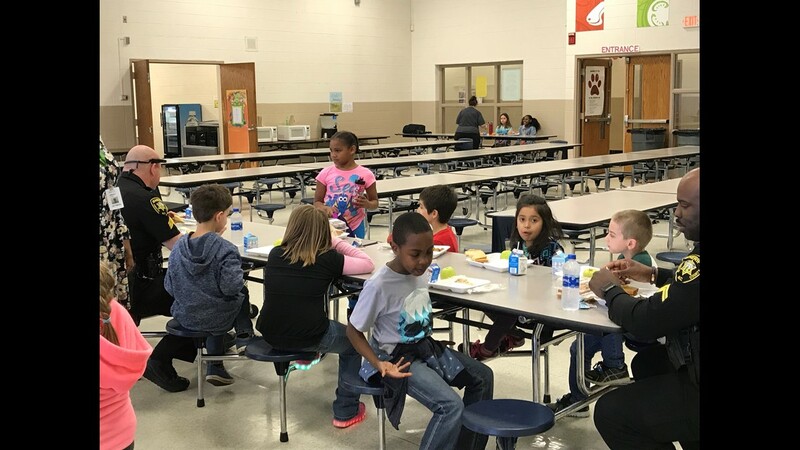 Kernersville Police Officers enjoyed lunch with kids at Kernersville Elementary School on Wednesday. 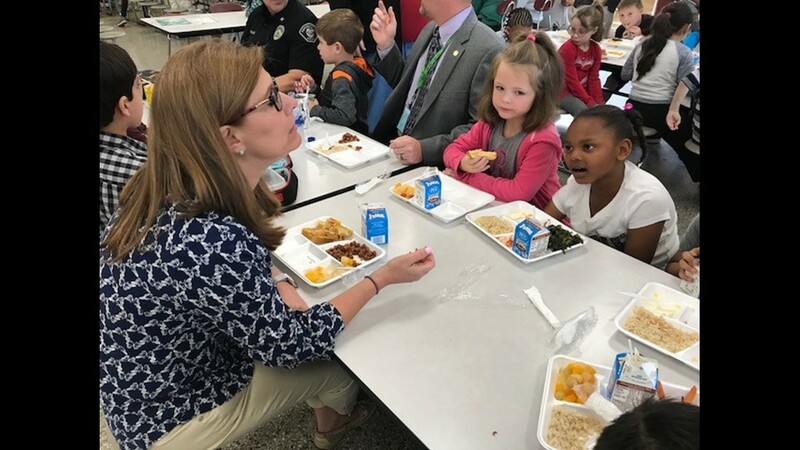 The school district says the free officer meals are part of an ongoing effort to increase safety and security at elementary schools. 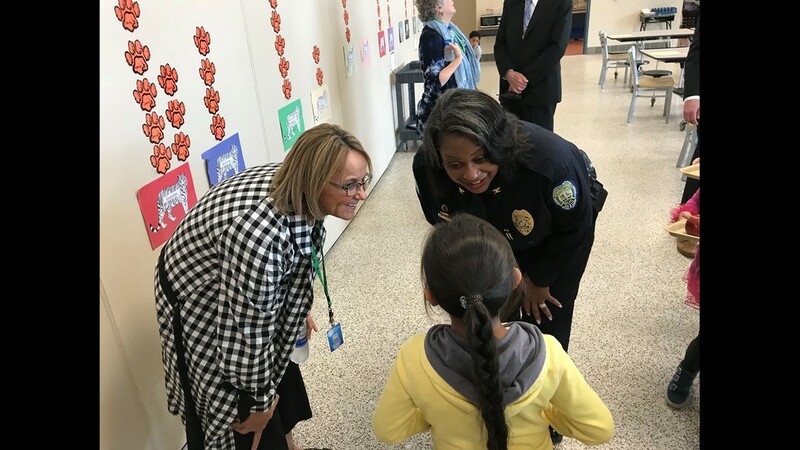 The idea is to increase law enforcement presence at random times throughout the day on elementary campuses, which do not have their own school resource officers. 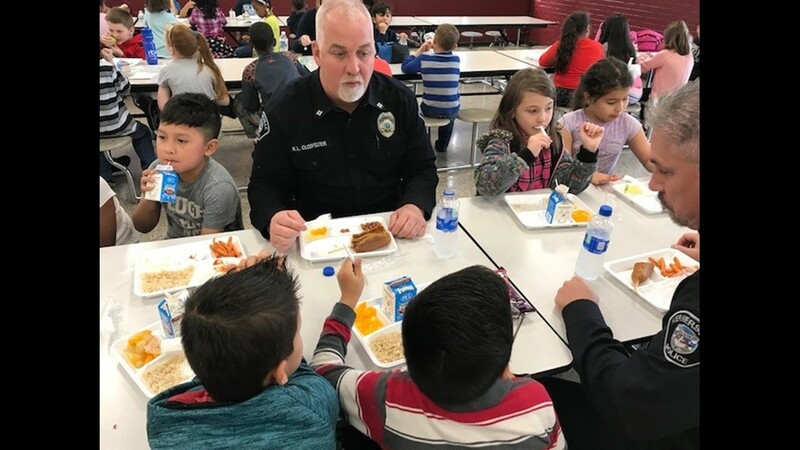 Officers in uniform and on duty are invited to come to an elementary school, within their assigned patrol area, during lunch hours, to get a free lunch on school days. Officers are being asked to check in at the office, enjoy lunch with students, and do a quick walk-through before or after their meal. 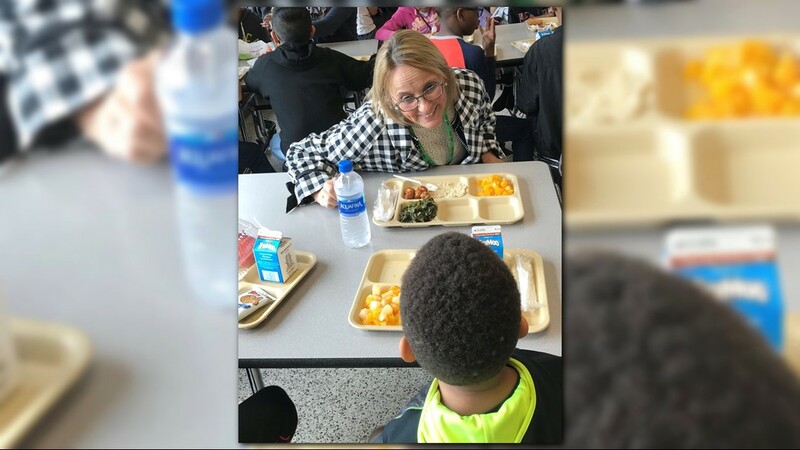 The school district says an anonymous donor is covering the cost of the officer meals.